Coast & Country News is your magazine-style monthly publication covering news, views, opinions, and experiences on all kinds of farms, orchards, conservation, rural operations and lifestyle blocks around the Franklin, Waikato, Coromandel, Bay of Plenty, Central Plateau and King Country regions. We love telling stories about people and what they’re doing on and with the land. We keep tabs on all rural industries’ developments, challenges and successes. Plus, we showcase new advances in technology, innovation and DIY solutions to agricultural and horticultural services, equipment and resources. 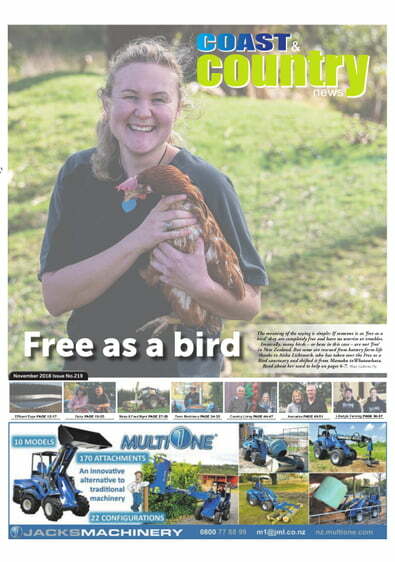 And, we profile rural people and communities about what they’re doing to improve their own backyards.